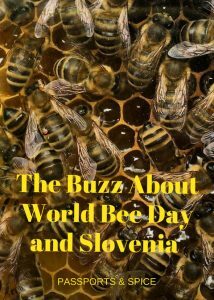 What is All the Buzz About World Bee Day and Slovenia? Do you know what May 20th is? It’s World Bee Day! I’m excited about it because I love bees and honey and also because the initiative for this global celebration was started by my native country, Slovenia, which has beekeeping in its heart. Growing up in Slovenia, I took our love for bees and honey products for granted. It was part of our culture, passed down from generation to generation. There were always plenty of bees everywhere, happily buzzing around, collecting nectar from flowering meadows, orchards and forests, which cover much of Slovenia. Bee hives were easy to find and it was not unusual to have a beekeeper in the family. In my case, it was my grandfather, who had several bee hives on his farm. In school, we learned all about honey bees and their important role as pollinators, critical to our planet’s food chain. Honey had an important part in the Slovene diet. We often used it as a sweetener, especially in our home-made teas. As a kid, my favorite cookies were not oreos, but medenjaki, delicious home-made cookies sweetened with honey. I also loved savoring honey on a freshly baked slice of bread, drizzled over butter. When you were sick, your Mom or Grandma immediately reached for honey to soothe a sore throat or get rid of a cough. It wasn’t until I moved to the U.S. about two decades ago that I realized how special was Slovenia’s affection for the bees, their products and beekeeping. It was one of the things I missed in my new country. Fortunately, in the last few years, bees and honey have gotten much more attention, not only in the U.S., but also globally. Some of it, sadly, because of the alarmingly declining rates of bee populations in certain parts of our planet, but also – on a more positive note – because honey has been gaining strong popularity both with foodies and those recognizing its long list of health benefits. How did Slovenia’s love for beekeeping come to be? Historically, Slovenia has been a predominantly rural country which means lots of food for bees. It also has a favorable climate, not too hot, not too cold. The fact that sugar was expensive and honey was a great substitute also played a role in this story. As did the fact that honey products were used in many home remedies. Green Slovenia is an ideal environment for bees. I’m way simplifying, of course, but those were all important factors that contributed to the popularity of beekeeping in Slovenia and its expansion into the important agricultural field it is today. 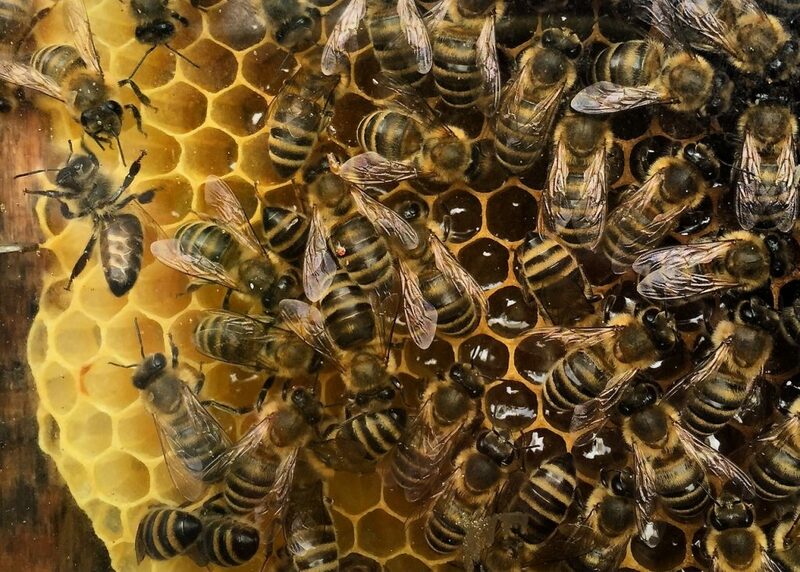 In the 18th century, Maria Theresa, the Empress of the Habsburg Empire, established the first beekeeping school in the world as part of her famous agriculture and education reforms. She appointed a Slovene, Anton Janša, as the first teacher. Janša was a pioneer of modern apiculture (a fancy word for beekeeping) and a great expert in the field. May 20th, World Bee Day, happens to be his birth date. A fascinating look inside a bee hive at Slovenia’s Bee Museum in Radovljica: the Carniolan honey bees hard at work, filling up the honey combs. The same goes for Slovene honey. Tiny Slovenia produces around 2,500 tons of honey every year, but it prides itself not on quantity produced, but rather on exceptional quality and diversity of its honey products. All the apiaries in the country are registered and honey is kept under strict regulation and quality control. 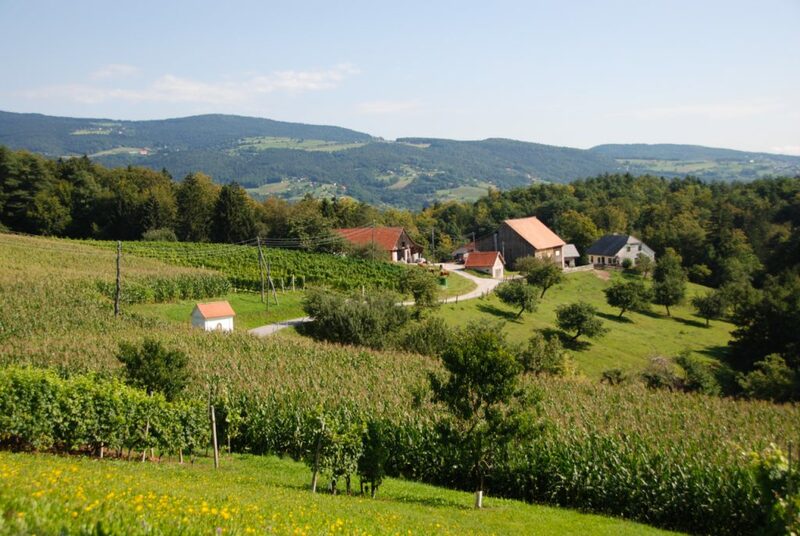 Like regional French wines or Italian cheeses, many types of Slovene honey have a protected geographical designation such as the acacia, clover, linden, chestnut, spruce, silver fir and forest honey, all typical of Slovenia. There are several other unique and delicious varieties such as buckwheat or dandelion honey. When I visit Slovenia, honey is always one of the items I bring back with me. For my own joy (I love it drizzled over greek yogurt, in my chia pudding or with cheese) and as a gift from Slovenia for my friends. Every Christmas season, my Mom sends me medenjaki, those special honey cookies I grew up with and which remind me of my childhood and Slovenia, just like the bees do. Slovenia’s love for beekeeping inspired a special kind of folk artistry: painted bee hive panels, called panjske končnice. This trend began in the 18th century and is unique to Slovenia. Driving through the Slovene countryside, it is not hard to find beautifully painted bee hives. They often stand in the middle of a meadow as one-of-a-kind mini outdoor galleries and displaying unusual works of art depicting everyday life and customs, love themes and superstitions. Panjske končnice are another unique and distinctively Slovene souvenir you can bring home from your visit to Slovenia. 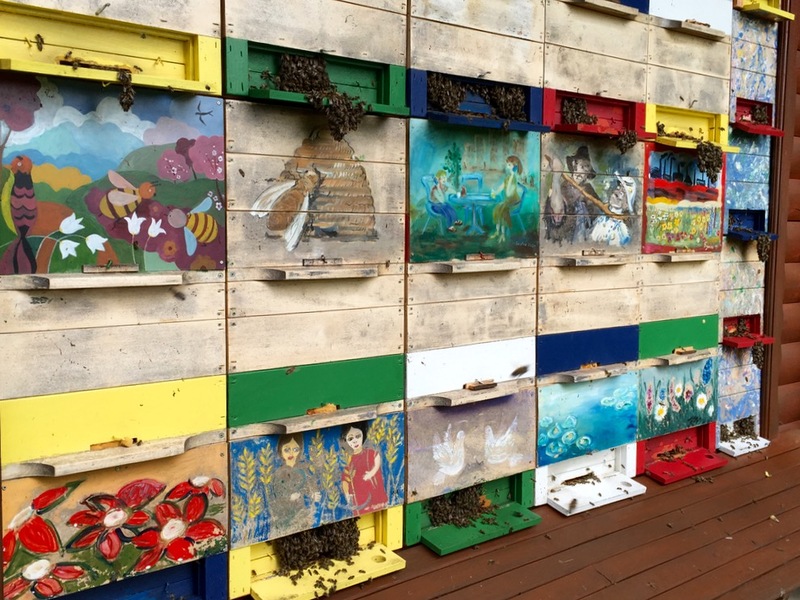 Slovenia’s love for beekeeping inspired a unique form of folk art: painted bee hive panels. Today, the love and respect for beekeeping continues in Slovenia as evidenced by the country’s proposal to the UN to celebrate World Bee Day. Slovenia remains among the countries with the highest number of beekeepers per capita and beehives can be found even in the middle of the capital, on school terraces or on the roof of one of the most important cultural centers in the country. To help protect the bees, Slovenia was one of the first EU countries to prohibit the use of certain pesticides harmful to bees in its territory. If you visit Slovenia, I highly recommend a stop at the beekeeping museum, which is a short drive from Ljubljana, the capital. 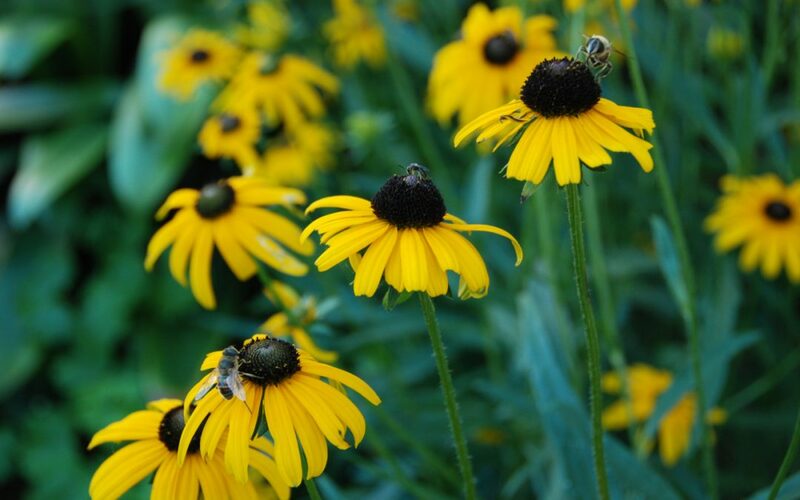 You will learn fascinating things about bees and beekeeping and perhaps fall in love with bees yourself. In any case, don’t forget to purchase some honey as a sweet souvenir to enjoy at home and remind you of the country that deeply loves its bees. I love travel, especially to international destinations. I get fired up by unique adventures, memorable experiences, and discovering other cultures. I enjoy sharing it all on my blog, along with my photography and travel tips. Follow me on Instagram, Facebook, or Twitter for travel inspiration and tips. Such an interesting article. We are lovers of honey and have seen how important and part of the culture it is in Slovenia and surrounding areas. Slovenia was our favourite country that we visited in Europe. Ahead of so many in sustainablilty and so environmentally aware. Thanks for such an informative post. Thank you for reading and your nice comment. So very happy you enjoyed the article and… Slovenia.